Having a runner at the Cheltenham Festival is a buzz like no other! We are one of the most long standing syndicate groups, read more about the team behind over 20 years of success. We carefully select trainers for their success, care towards horses, honesty towards owners and their open access policy to the stables. 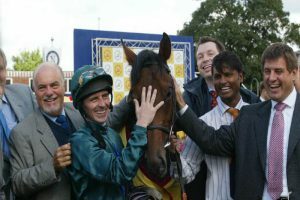 Heart of the South Racing provides top quality racehorse ownership with a first-class personal service that makes our owners feel they own the horse outright wherever possible. We always put horse welfare first but also promise to make joining a syndicate and owning a racehorse a carefree, enjoyable, sociable and of course winnable experience. NEW! horses with shares for sale! 2-year olds with Gary Moore & David Menuisier, and a NH horse with Gary Moore. See them on the gallops! In 2018 we enjoyed a visit to Palace House & had 140 Owners join us for hospitality at Sandown Park in November. Details on our 2019 events to be released soon!